Each of these glorious colours makes a statement that is as individual as you are. 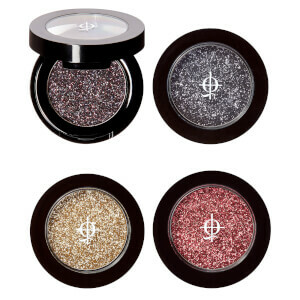 Highly pigmented, prepare for an intensity that's not just colour-true but extremely long-lasting. Experiment and be bold. Talc, Dimethylimidazolidinone Rice Starch, Mica, Aqua (Water), Propylene Glycol, Magnesium Myristate, Octyldodecanol, Isopropyl Myristate, Glyceryl Stearate, Peg-150, Phenoxyethanol, Ricinus Communis Oil (Ricinus Communis (Castor) Seed Oil),Cetearyl Alcohol, Quaternium-26, Silica, Methylparaben, Glyceryl Ricinoleate, Cera Carnauba (Copernicia Cerifera (Carnauba) Wax), Candelilla Cera (Euphorbia Cerifera (Candelilla) Wax), Ethylparaben, Sodium Cetearyl Sulfate, Stearic Acid, Cera Microcristallina (Microcrystalline Wax), Propylparaben, Tetrahydroxypropyl Ethylenediamine, Paraffinum Liquidu (Mineral Oil), Cetyl Alcohol, Cera Alba (Beeswax), Parfum (Fragrance) and May Contain: [+/- Titanium Dioxide Ci 77891, Iron Oxides Ci 77491, Ci 77492, Ci 77499, Carmine Ci 75470, Ultramarines Ci 77007, Yellow 5 Lake Ci 19140, Blue 1 Lake Ci 42090, Bismuth Oxychloride Ci 77163, Manganese Violet Ci 77742, Ferric Ferrocyanide Ci 77510, Red 40 Lake Ci 16035, Chromium Oxide Greens Ci 77288, Chromium Hydroxide Green Ci 77289] (Eu Exclusive Shades May Contain: Ci 12085, Ci 15850, Ci 45380, Ci 15985, Ci 73015, Ci 45410, Ci 77266) May Contain Carmine as a Colour Additive. Stop use if Irritation Occurs. I have Invoke, Jubilance and Ritual shades, and they are beautiful. Best aplication is with fingers, but also with squirl hair brush. Love all 3 shades, they are beautiful for wedding makeup, especially if you work with cream technique as base. Fledgling is a fabulous green, so pigmented! I use it under my bottom lash line for a bright pop of colour or on my tear duct. I love these matte shadows. They are true to color, great pigmentations & easy to blend. Тени даже красивее,чем на картинке. Applies very thin. Not very happy with the quality given the price. Perfect transition shade to have in your kit. 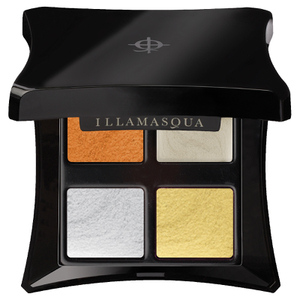 Easy to blend, cooler toned, pigmented and buttery!